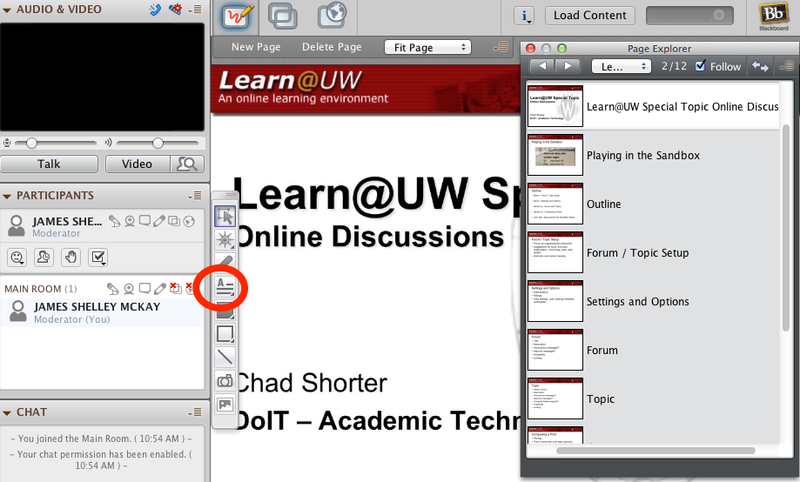 How to set up a virtual office hours or a virtual instructor-student interaction space using Blackboard Collaborate. Recommended Organization: In order to keep things simple for your students, we recommend that you set-up one ongoing web conference for your virtual office hours that runs the entire semester. 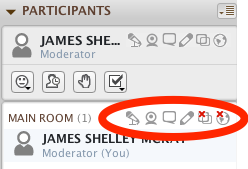 Since this web conference provides space for meeting with students and discussing potentially sensitive information such as grades, we recommend that you set up the conference so students can only join as participants and not as moderators. 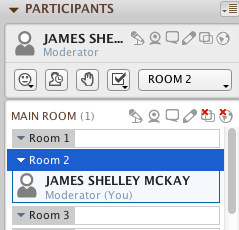 If you need a student to use a moderator privilege, such as application sharing or file transfer, simply enable this permission once in the web conference. 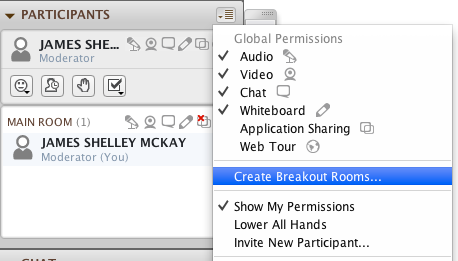 If you are concerned that multiple students may join the web conference while you are discussing sensitive information, such as grades, with another student, you can always create break out rooms and hold any sensitive discussions in one of the break out rooms. Since participants do not get moderator privileges upon joining the conference, they cannot move themselves into a break out room without you giving them the proper permissions. 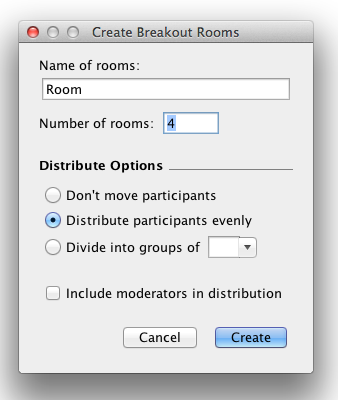 This allows you to set up a room (or rooms) in the web conference where only those you personally move into the room(s) can go.